The Atelier series has been running for quite a long time, with each and every entry in the series offering something new compared to the others while keeping everything within a certain frame. This design philosophy, which is bit uncommon for many JRPG series still running today, kept the series from getting more recognition and possibly more fans, but things are about to change with Atelier Firis: Alchemist of the Mysterious Journey, where the series formula is made fresher with some new features that both long-time fans and newcomers will surely appreciate. 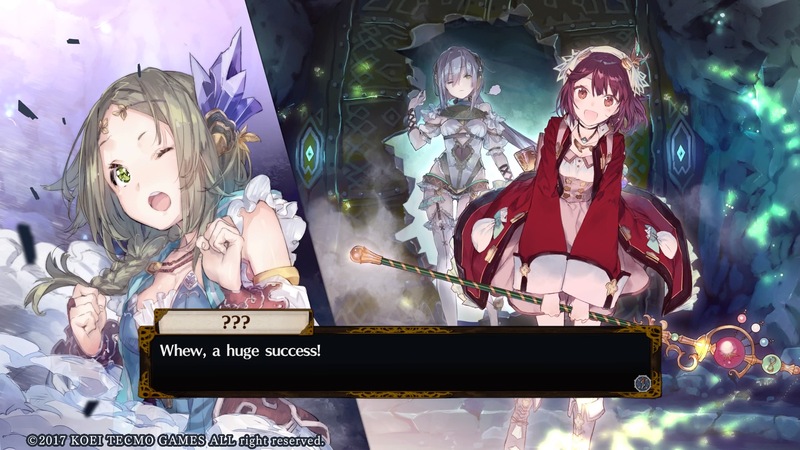 Atelier Firis: Alchemist of the Mysterious Journey is the second entry of the Mysterious sub-series and, as such, features characters from Atelier Sophie: The Alchemist of the Mysterious Book, like Sophie and Plachta. These characters, while important, don’t take center stage all too often: this is Firis’ journey, after all, and she has to overcome all difficulties with the help of her friends without having to rely on Sophie’s experience. Firis lives in the town of Ertona, a small town in the mountains that has very limited contact with the outside world, as only a few are allowed in and out of town. Firis leads a simple, helping townsfolk to mine ore with her special ability until the day she meets Sophie, who just blasts through the town’s gate with an alchemy-created bomb. Firis’ encounter with the power of alchemy will make her desire to see the outside world even stronger, leading her to eventually decide to undertake the difficult alchemy examination to become a full-fledged alchemist. After finally getting permission to leave from the village elder, Firis and her older sister Liane set out in the wide world to reach the city of Reisenberg, where Firis will finally be able to apply for the exam and eventually become an officially recognized alchemist. During the course of the journey, the two will gather a lot of material, fight a lot of monsters, befriend several other companions and generally have a good time, in true Atelier series fashion. Most of the main characters are enjoyable, but very few of them are remarkable enough, with Firis, Sophie and Planchta being the true stand-outs. Other minor characters don’t get the same level of development as these three, but players thankfully have the chance to learn more about them through side-quests focused on them. 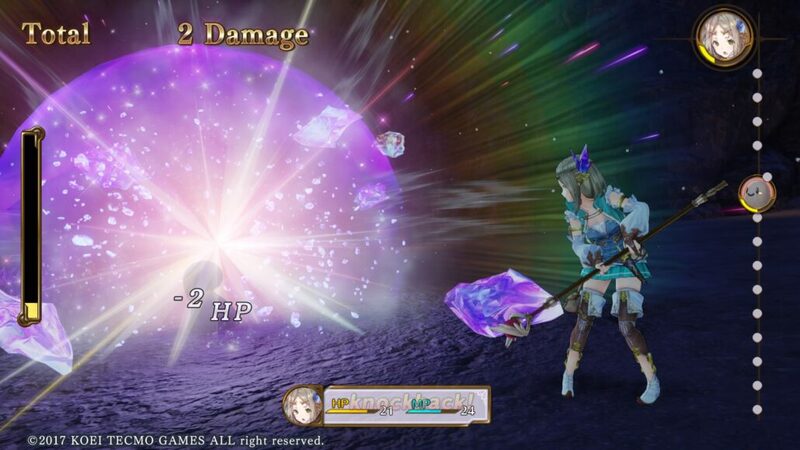 Atelier Firis: Alchemist of the Mysterious Journey can be effectively divided into two different parts. 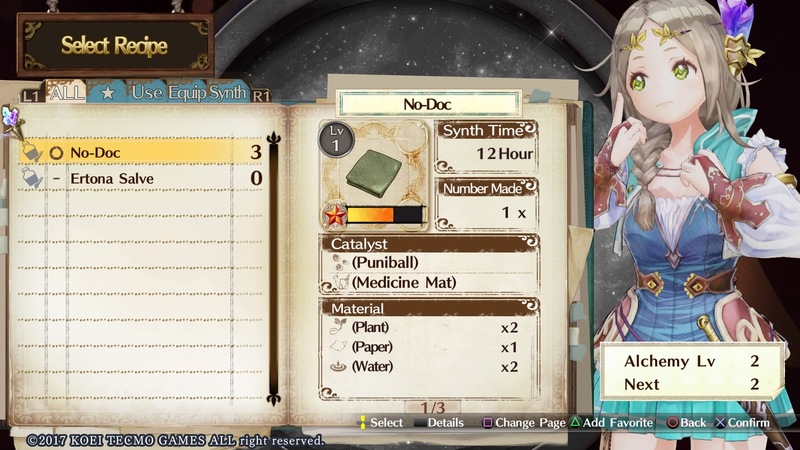 During the first one, which culminates in Firis undertaking the examination, players will have to deal with one of the series staples: the time limit. Firis will have an entire year to reach Reisenberg and be prepared for the exam, so time is not that much of a factor. At the same time, players do have to be careful in managing their time, as every action on the field, whether its material gathering, creating items through alchemy, battling monsters or just traveling, consumes time. As Firis also needs to get at least 3 letters of reccomandation from officially certified alchemists to access the exam, there’s not much time to lose. While the time limit can be frustrating for those who wish to invest some serious time in alchemy, there’s a very good payoff later on: Atelier Firis: Alchemist of the Mysterious Journey is hardly done after the credits roll. The second half of the game is definitely the most interesting of the two. Having become an alchemist, Firis can explore the world at her own leisure, helping people along the way while finally fulfilling her dream. This second half transforms the game into an open world experience, where players are free to go wheverer they please in the attempt to unlock the game’s many endings. 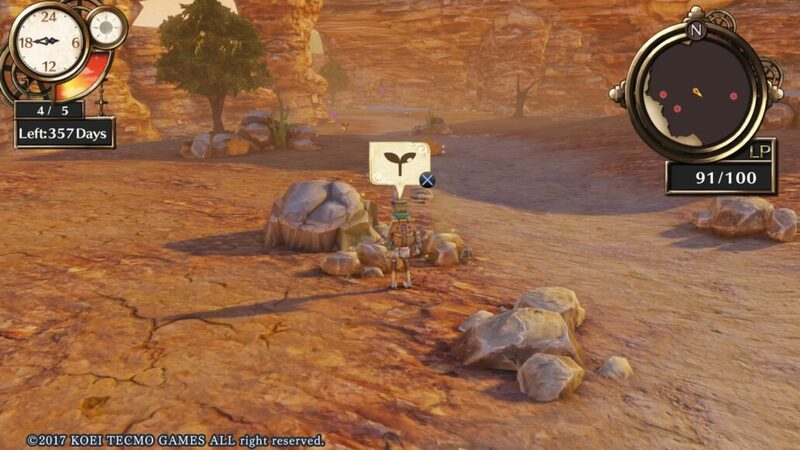 Mechanics from Atelier Sophie, such as the lack of timer and quick traveling options, also make a welcome comeback. As there is no ultimate goal to accomplish, the open world segment of Atelier Firis: Alchemist of the Mysterious Journey can be a tad confusing, even more so as the game only leaves vague hints about what can be accomplished. Without a time limit, players can also indulge into alchemy as much as they want, creating powerful items which can be quite helpful in taking down the most powerful monsters. By splitting the game in half, Gust not only managed to diversify and enrich the experience with plenty of content, but also to shape almost the whole game around the journey theme which permeates the whole story. A JRPG wouldn’t be one without an army of monsters to defeat, and this regard Atelier Firis: Alchemist of the Mysterious Journey offers plenty of opportunities to do battle, wheter it’s against regular monsters or more powerful bosses. Sadly, the game’s battle system is nothing special, and it’s almost a step back compared to previous entries in the series. In Atelier Firis, players can bring three characters in battle, all coming with a variety of skills which can deal damage to single or multiple enemies, cause status ailment and delay their turn. All characters can also use items created through alchemy, which is always the best course of action when dealing with particularly strong enemies. Party members can also protect Firis before she gets attacked as well as coordinate their efforts in chain attacks, which can be performed once the dedicated gauge has been filled. While the battle system does work as intended, and the lack of load times between the end of battles and the return to the field makes fighting monster a rather quick affair, it is quite basic, underlining the fact that battling isn’t supposed to be central to the whole experience, unlike exploring the world. Traversing the world and exploring it is made quite interesting by several additional features and mechanics, such as LP. LPs are consumed every time players perform an action, and must be replenished by resting at the Atelier or creating items through alchemy to avoid a variety of afflictions such as reduced material collecting rate and more. With the first half coming with a time limit, albeit somewhat lenient, LP managing goes hand in hand with time managing, both being key to success. A big world to explore would mean little if there’s nothing to do, but this is not the case in Atelier Firis: Alchemist of the Mysterious Journey. While moving around, players will be able to complete a variety of quests ranging from destroying a set number of enemies, collecting specific items to creating items through alchemy and more. Alchemy obviously plays a big role in Atelier Firis: Alchemist of the Mysterious Journey, and it’s just as engaging as ever. Thanks to the cauldron, players can create a variety of items by using the correct ingredients. Obtaining recipes is done in an unusual way, with Firis learning hints as she explores the world. If one or more ingredient is missing from a recipe, they can be revealed by spending Idea Points. Once all ingredients have been chosen, players can also choose to perform Alchemy with the help of specific items, called catalysts, which can alter the item considerably. Whether players uses a catalyst or not, they will still have to place the ingredients on a grid, with the right combination allowing them to unlock additional properties and increase the items’ quality. While the system may sound complicated on paper, it’s very simple to get used to it after creating a couple items. Like in other entries of the series, some items can only be created after a certain alchemy level has been reached, so using alchemy often is encouraged in every possible way. Atelier games often look lively and colorful, and Atelier Firis: Alchemist of the Mysterious Journey is not all that different in this regard, offering players a bright and colorful world and detailed character models. It’s not the best looking game on the console, but the graphics get the job done in depicting a world full of wonders. Like some of the previous entries, performance is rather uneven, with evident frame rate drops on the field which can be distracting but thankfully not in a major way. Coupled with functional UI, an upbeat soundtrack and English and Japanese dubbing, Atelier Firis: Alchemist of the Mysterious Journey does a good job in making the journey as enjoyable as possible. Yearly releases are usually the bane of every video game franchise, but with Atelier Firis: Alchemist of the Mysterious Journey, Gust proved that it’s possible to push a series’ formula forward considerably even in a short amount of time. While far from being perfect, Atelier Firis: Alchemist of the Mysterious Journey is probably one of the best entries in the series, with all the gameplay mechanics and features evenly contributing in the development of the game’s main theme. This journey may be mysterious and a bit dangerous, but it’s among the best we had in years. Atelier Firis: Alchemist of the Mysterious Journey represents the biggest step forward for the series in quite a long time, striking a very good balance between the typical time management of the series and an open world experience. Some design choices may not be the best, but there's quite a lot to like in this mysterious journey.